Paul and Trey: Talkin' SHOP. It's been hiding in the bass-ment until now. Random Number Metal guy returns with an awesome demo. Computer or guitar - Mac or Oni? 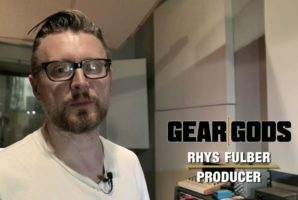 Interview with one of Australia's premiere guitar builders. See Dragonball Z guitar for proof.